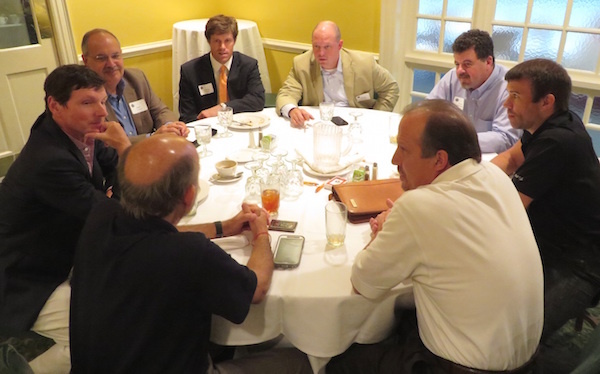 CEOs join the Virginia Council of CEOs for one primary reason – to be a part of a peer Roundtable or Forum. These groups of 8 to 10 non-competing CEOs meet regularly to learn and grow together. It’s challenging to make meetings productive and efficient in any setting. Imagine a meeting with ten confident, hard-drivers who are used to running the show! No matter the type of meeting – Roundtable or Forum – each calls for strict adherence to confidentiality and to the Gestalt Language Protocol. Getting our executives up-to-speed on meeting procedures begins as soon as they become a member. And it’s one of the four ways we help our members be successful. First, each new member receives a copy of the book Forum: The Secret Advantage of Successful Leaders by Mo Fathelbab, which lays out the methods and Gestalt protocols for successful executive peer groups. It’s required reading for all new members. Secondly, every new peer group starts off with a full day training session with one of our world-class trainers. And, every group gets a half-day of refresher training every year, a chance to sharpen the saw and recommit. Then, to make sure the meeting stay on focus, every roundtable elects a member of the group as their leader. We work hard to support these leaders through regular leader meetings, coaching sessions and feedback surveys. Like most things, leadership is key. Finally, we have high expectations of our members. These expectations include confidentiality, culture and commitment. Commitment comes first, with the expectation that a member attends each monthly meeting and participating fully. Our members take this seriously. Every month, our attendance for more than 180 members is 94 percent. That’s commitment.